This and That and Tequila Lime Chicken | Small, but valuable. Life is a bit weird right now. Isn’t it always? Scott’s work hours are changing semi-regularly, so we’re eating meals kind of whenever. In an attempt to make the week feel more festive, I went for the “big recipe” of the week this morning instead of Friday, as I had originally planned. Sometimes Tuesday needs some special. What was this big recipe? 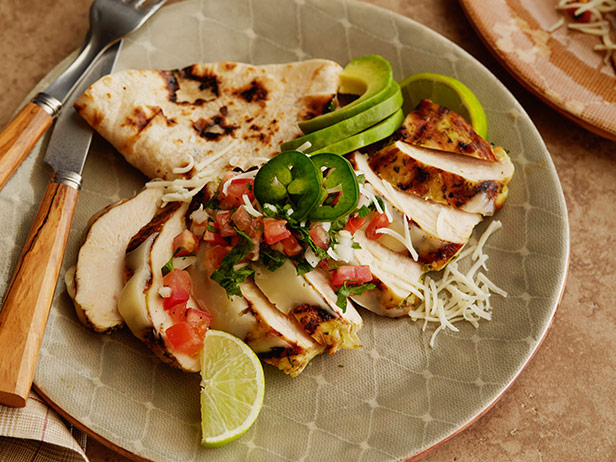 The Pioneer Woman’s Tequila Lime Chicken. Mmm. It’s been a favorite of mine for a few years, but I forget to make it mostly because you are supposed to marinate the chicken for several hours (or overnight). Marinating for more than 20 minutes usually involves too much forethought for me. But not today. I chopped and blended and poured last night, so all I had to do this morning was grill and make a few sides. What do I love about Tequila Lime Chicken? Well, it doesn’t hurt that it involves tasty, classic, carby sides such as refried beans (done the relatively healthy way, not the restaurant way) and Mexican rice. Really good rice, if I do say so myself. It’s chock full of tomatoes, and there’s just a hint of spice to kick things up. But the main dish itself is really the prize here. It has bite and spice and a hint of fresh and exactly enough tequila flavor. It feels special. Now I’m waiting for my newly polished toenails to dry (navy blue that I wouldn’t normally dare to wear, but living on a dirt road has a way of freeing you up from caring what other people think about your toenail polish choices). And what next? Mowing the back and side yards for the very first time. Feeling brave. I’m leaving the front yard for Scott, because I don’t trust myself to mow anything close to a straight line. Would you believe that I sat down to watch Les Miserables (in the background during this exact writing moment) and found that I recorded the Spanish version? Oops. At least it has subtitles instead of being dubbed. It does fit with today’s menu, so maybe I should go with it. My Spanish is a bit rusty though. Oh no! I had only heard song portions of the movie. All non-singing portions are dubbed. Boo. I guess that means it’s time for me to mow the yard.